To be included on the start list for this year’s grand depart on Friday, September 13th, 2019 at 8am, email a letter of intent to: TheAdirondackTrailRide@gmail.com on or after March 1st. Carrying a GPS unit is not mandatory but strongly encouraged. There are no standard maps or cue sheets for the route, and it is not marked in any way. Each rider will be sent a GPX file for the route. Trackleaders.com will provide a way for people outside of the race to follow along. There will be a live map, elevation profile, and other features to track the riders. Carrying a SPOT and being tracked is not mandatory but strongly encouraged. Once registered for TATR, you will receive an email with the final GPX route file and a notice when the Trackleaders sign-up becomes available. You will then register with Trackleaders and rent a spot tracker if you do not own one. 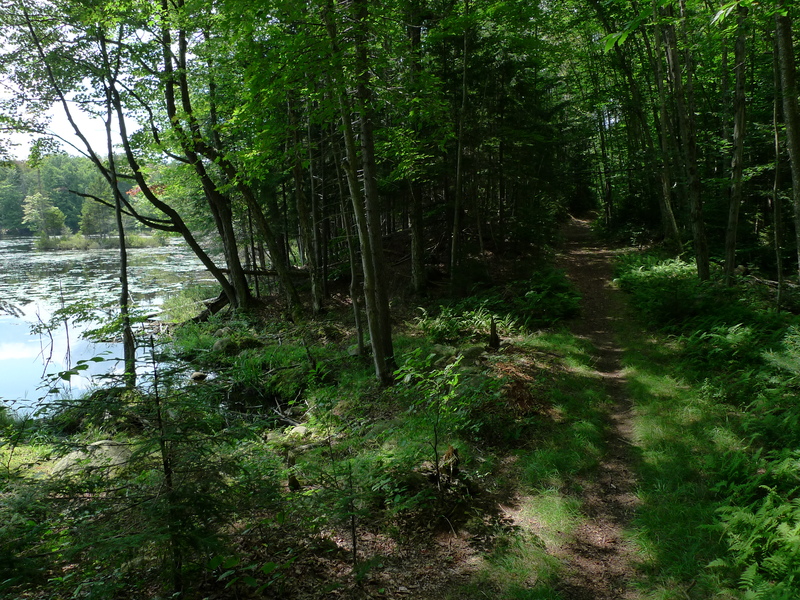 The Adirondack Trail Ride is built on the idea of solo, self-supported travel in a leave-no-trace manner. Whether you prefer to challenge the route with others and start on the suggested day and time, or if you prefer to ITT (individual time trial) the route, you need to follow the rules of self-supported travel. LEAVE NO TRACE. If you carry it in, carry it out. The goal is to keep the area we are rolling through better than we found it. It is a very simple principle-if we can’t follow it, we may not have the option to in the future. There is no entry fee, but when this route was being developed there was always the thought that there could be a way to help others while attracting riders to this special region. We are all very fortunate to be able to participate in events like this… why not pay it forward? Therefore, in the spirit of generosity and awareness, all riders are strongly encouraged to make a donation to one of the organizations listed below, or one that may be close to your own life. To be recognized for your good deed on the start list, email TATR a copy of your donation receipt when registering. Thank you to all who have made contributions – a full list of charities who have received a TATR donation is on the Results page. Who do you ride for? We are not asking about who sponsors YOU, we want to know… what cause do you support? Choose an organization from the list below, or make a donation to your favorite charity – and let us know about it! When you make a donation, please let them know it’s in honor of The Adirondack Trail Ride!